1. Last Thursday, the U.S. Senate voted 68-23 to advance a measure opposing the withdrawal of U.S. troops from Syria and Afghanistan. 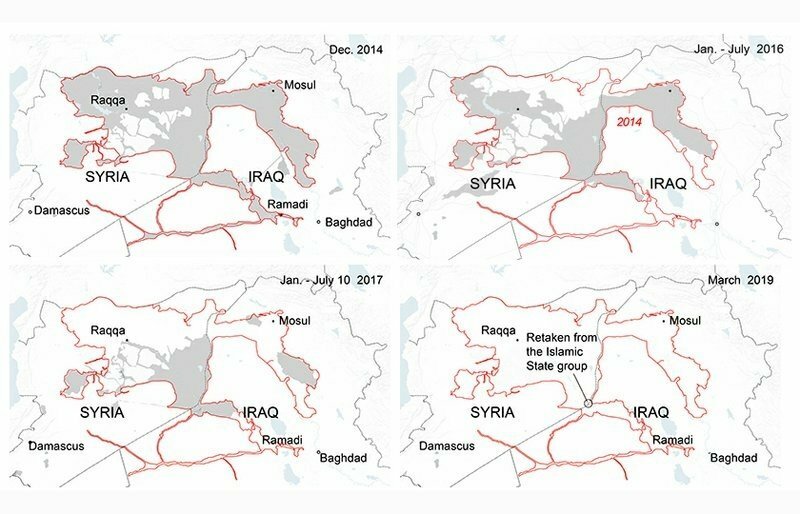 The bipartisan driven measure declared that the Islamic State remains a serious threat in both countries, Axios reported. 2. U.S. court finds Assad regime liable for journalist's death in Syria. The Washington, D.C. District Court ruled against the Syrian government for the extrajudicial killing of American journalist Marie Colvin under the Foreign Sovereign Immunities Act targeting state sponsors of terrorism, The Guardian reported. 3. A UNHCR report out last week shows that an average of six refugees and migrants die every day attempting to reach Europe via the Mediterranean Sea. In total, 139,300 arrived in Europe in 2018 – the lowest number in five years. But the rate of deaths rose sharply as European policies shifted toward returns to Libya and criminalization or restrictions on search-and-rescue boats.